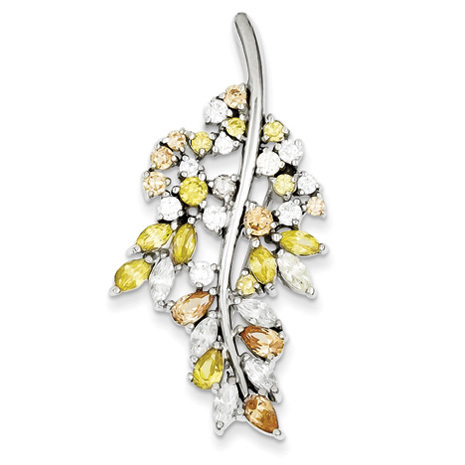 Multi-color cubic zirconia leaf pin is made of sterling silver. Measures 7/8 inches tall by 1 3/4 inches wide without bail. Import.